The High Plains aquifer in the Southern High Plains (Texas and New Mexico), consisting of Tertiary, Cretaceous, and Triassic formations, has traditionally been considered to be recharged by its uppermost water-bearing unit, the Tertiary Ogallala aquifer. 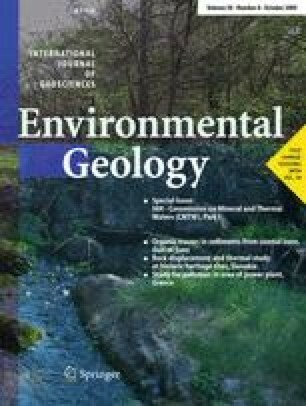 This article provides hydrologic, chemical, and isotopic evidence that in the Southern High Plains: (1) Cretaceous rocks actually contain independent recharge sources; (2) Triassic rocks cannot currently be recharged by the Ogallala aquifer in significant quantities; and (3) in places, both Cretaceous and Triassic aquifers recharge the overlying Ogallala aquifer. On the basis of chemical and isotopic data, playa lakes seem to act as the predominant recharge source of the Ogallala aquifer, suggesting recharge rates greater than 30 mm/yr, as opposed to the much lower rates reported by others. The Cretaceous aquifers are being recharged by cross-formational flow from the Ogallala aquifer but also from overlying Quaternary sands and the underlying Triassic aquifer in eastern New Mexico. Current recharge into the Triassic aquifer may be insignificant.